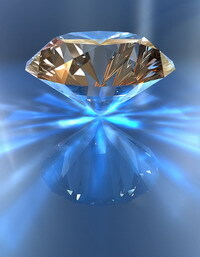 The same 4 Cs that define the value of diamonds can be used to shape great persuasive content. Master them and create content that attracts the eye, has real worth, and stands the test of time. Fail to get them right, and you’ll wind up with a low-value commodity best used as industrial polish. Take a look through your most recent post. How well do you score on these 4 C’s of content quality? Content is not king. Clarity is king. Effective content must be absolutely clear if it’s going to persuade. There’s an old advertising saw: “The confused mind does not buy.” Whether you want your readers to subscribe, to bookmark, or to buy, confusion is the enemy of action. Making your content clear isn’t the same thing as dumbing it down. For models of intelligence and clarity, start with Mark Twain, Ernest Hemingway, or Jane Austen. You might find a readability scale like the Flesch-Kincaid Grade Level test useful. If your content scores above a sixth-grade level, take a look and see if you can simplify it. Shorten your sentences. Use simple, muscular words rather than the multisyllabic ten-dollar versions. Clear, straightforward writing allows your brilliant ideas to shine more clearly. In fact, clarity is doubly important when your ideas are complex. If you want a tougher test, give your content to someone who doesn’t know your subject. What seems straightforward to you may be hopelessly murky for your reader. Great content gets to the point. A book reader might be willing to wade through pages of irrelevant description to get to the good parts. A Web reader is not. The more ruthless you are with that delete key, the brighter your copy will shine. The first step is to look for extra words and flabby language. Clean up redundant expressions and wording that doesn’t directly get your point across. Then make another pass to distill your ideas. Blog posts and online content work best when they focus tightly on a single topic. As a happy bonus, this not only makes life easier for your readers, it also makes search engines happy. The more narrowly you focus each individual piece of content, the easier your material is to find, to read and to act on. While you’re polishing and honing, make sure you don’t strip the color from your content! If your readers wanted the facts and nothing but the facts, they’d read software manuals. (Which, as we all know, no one does.) Your audience is coming to you for a colorful, lively take on your subject. Color comes from two main sources: stories and details. Storytelling is the most ancient human art, and arguably the most important for a persuasive writer. While there have been thousands of great articles and posts written on storytelling, here’s a quick tutorial: Put forward a main character your reader will identify with, make sure at least one interesting thing happens, and make sure there’s a point. Don’t be heavy-handed, but there should be a “moral to the story” somewhere, even if it’s subtle. Once you have your story developed, make it shimmer with a few well-chosen details. Each detail should show us a little something about the main character or about the point. If your well-chosen details support those two, your glittering details won’t turn into dull, dusty verbiage. What’s one of the key factors that makes a diamond really valuable? How much it weighs. All other things being equal, a single two-carat diamond is much more valuable than a pair of one-carat diamonds. Lots of Web content is flimsy, weightless stuff. It may entertain briefly, but doesn’t have any real worth. It doesn’t build authority or a base of loyal fans. Strategic content needs to have some weight to it. It’s fine (and a nice rapport-builder) to post something purely silly or entertaining from time to time. But most of your posts should contribute real value to your readers. Improve your readers’ lives on a subject they care about, and they’re much more likely to link to you, talk you up to their friends, and bookmark you on sites like Delicious. Don’t let yourself be fooled by the ephemeral appearance of the blogosphere. Content of substantial weight and value can continue to bring you readers for years into the future. If you’ve been reading me for any time, you know how much I treasure the relationship you build with your audience. I’ll never sell that love short . . . but as Marilyn sang so memorably, it’s diamonds that are a girl’s best friend. Great content is more than entertainment or a way to waste a few minutes. It’s even more than a way to build rapport with your readers. Great content is an asset that can be leveraged. Create valuable, sparkling content and great relationships, for the most enduring success with content marketing. About the Author: Sonia Simone is an Associate Editor of Copyblogger and the founder of Remarkable Communication. I think people from IT services should read this. While copywriting I really like this idea of keeping it short and to the point, and at the same time, interesting. Color is important! I hate bland looking blogs. Greetings and lots of success for you! Cut is so important. I do video and am amazed how often people take 30 seconds for opening credits on a 4 minute video. Or just ramble on. Sonia, I’m always impressed by your posts on Copyblogger. I found this yet another one I’d like to refer back to often. I’m presently reading “Made to Stick” which touches on similar themes. I really like the comparison of great words to precious stones. I never thought of it, but you articulate it well. I’d add that, like diamonds, there is abundance, and those who control the stream, reap the most benefit. Your post is dead on. Miss any one of these “Cs” and your writing won’t have the impact you’re aiming for. Very awesome post. I like the comparison to diamonds. The status symbol they represent can go along way in how we look at a successful blog. You always have great metaphors! Not to mention, great points. Sometimes I feel like I’m talking too much while I am trying to get my point across – I do like to talk. Clarity in ‘Earnest’ Hemingway? I love it. Bookmarked Beatrix, bookmarked. Most excellent. @Glen, I totally agree, I thought Made to Stick was brilliant. In fact, I need to re-read it. @Kevin, I love that you love it. 🙂 I thought EH was a good example of very clear, straightforward prose with very subtle ideas. Thank you for posting this, I was overcoming this obstacle in my writing. In school you are taught to elaborate and add a bunch of additional descriptive words, it was hard to break this habit, this is helping me out a great deal. Excellent advice. Bloggers can sharpen their feel for the four qualities by reading authors who apply them consistently. They’re the four reasons mystery writers Michael Connelly and Robert B. Parker have enjoyed huge success: clarity, color, cut, carats. Even in high tech, they account for a large portion of the success of blogs like Cool Tools and Practical Technology. Good writing is a treat. This is definitely a post that I’m going to save and read often. Thanks! This is a great article and will go to my Delicious account – so you must have done something right. I’m a big believer in clarity. I don’t want my readers to have to read a sentence 3 times. I want the sentence to be so clear, it’s impossible to be confused. Yet I don’t want to dumb anything down either. This requires careful structuring and tactful simplicity. This blog is probably the best blog out there for training on how to write quality content. This is great stuff as usual 🙂 Love the diamond comparison – classy! After 3-4 words, our content can begin to sound the same way Charlie Brown’s mother sounds to Snoopy. Keep it clean and focused. I enjoyed this article as usual. Excellent post! People blog for so many reasons, but if the ultimate goal of a blog is to add value to others, the blogger must take these principles to heart. Thanks for providing us with such a great tool to refer to as we write. In solidarity with my copywriting brethren, I must say that there are a few (not many, but a few) decent manuals being written, but they don’t get read either. great analogy…never thought u could relate diamonds and copywriting in such a way, but somehow, it works! This is awesome stuff Sonia! I can really use these tips for my own writings. No, actually, yes, there are the traditional 4 Cs from diamonds, and then a bonus for ya. “Collateral” isn’t so much a quality of your copy as it is a way of thinking about it. I agree … simplicity when writing is so essential with online audiences because they can tune out pretty quickly. I also think that making sure your content is laid out properly with spacing, bullet points, highlights is also important. I really like your analogy of the diamond. A especially appreciate your advice of story telling and having a moral to your story. Thanks! Great article! Hemmingway is the perfect example of content which is descriptive but concise and clear at the same time. I found this Writing Sample Analyzer link very interesting. I write three blogs, and analyzed several sections from all three. I found them to be around 6.6-6.7, with variations between 4.5 and 10. Another part about keeping it clear is clean code for search engines. Anyone like me who needs a good spell checker can write a post in word. However, copying and pasting from word can muddy the html. The solution is to copy from Word to Notepad, then from Notepad to the blog post. I like your emphasis on clarity and cutting out bloated content. Reminds me of the fashion advice to keep it simple. Jackie O was the artful master of simple elegance. Keeping it short and to the point is easier than it sounds. However, keeping it simple is by far the most useful advice. Knowing your topic helps. Don’t write about something you have no experience with. I can’t remember the author, I believe it was Hemingway, that said to cut out words that have no additional usage. He also said, if you can say something in three words, never use ten. Content is still King, but only good Content is working in Salesletter & Co.
You’ve got it to the point! I intended to write you a very small note to help thank you so much the moment again for all the striking strategies you’ve provided on this site. Sonia – Been looking for ways to improve my writing skills! I think the key I got out of your article is to use the ‘delete’ key more! I think I have a tendancy to over kill my copy with too many words, trying to compensate for my lack of writing abilities. Thanks for the tips as this is something I’ll use starting tomorrow! Thank you so much! I read some articles about writing successful articles last days. And I thinks this is the best one. You should read every word!